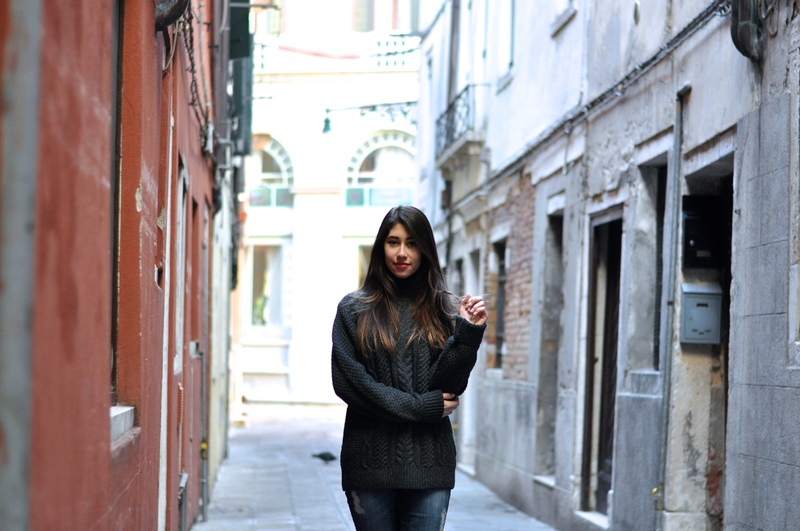 Here is the first outfit post from my trip to Venice, Italy! Since the weather was quite cold and we were spending the days visiting as much as we could, I wanted to be sure to wear something warm and comfortable whilst still looking fashion appropriate! So for this look I decided to go for an oversized sweater from Linea, which is actually a man’s sweater but I feel like it looks good on a woman too! Sometimes simple and easy is best, so I paired it with ripped jeans and my newest shoes: Chanel-inspired Zara sneakers (at least in my opinion)! Hope you enjoy this look and these photos! 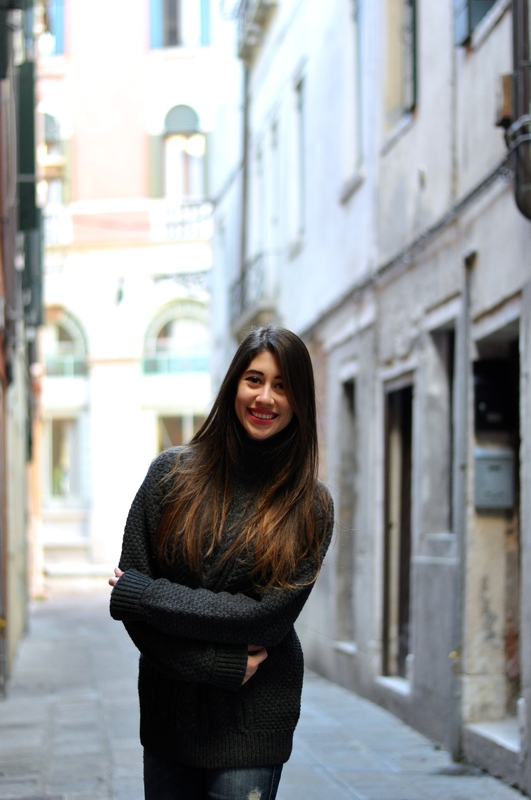 More from Venice coming soon! Nice casual look!! So chic ;) Amazing pics. Beautiful, sweet and cozy Bibi! What a beautiful outfit!! A very creative way to use sneakers! You re Gorgeous ! I like your snearkers they are perfect ! Aww! Loving the color of your lips babe! Looking so fabulous, and your smile is so precious. AND THOSE SNEAKERS! They are so cute and pretttttty! Have a wonderful weekend babe! 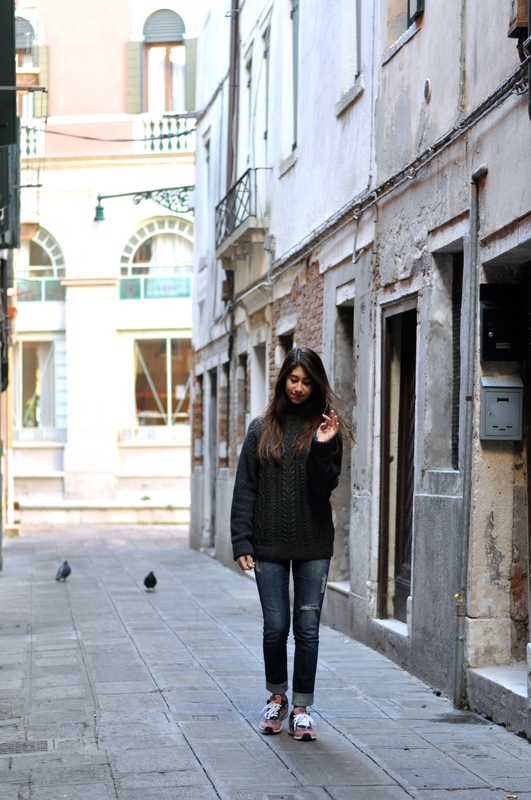 You look so cute, that sweater is literally perfect, and God, I looove Venice ! Thank you Caroline!! Oh yes isn’t Venice just beautiful?! 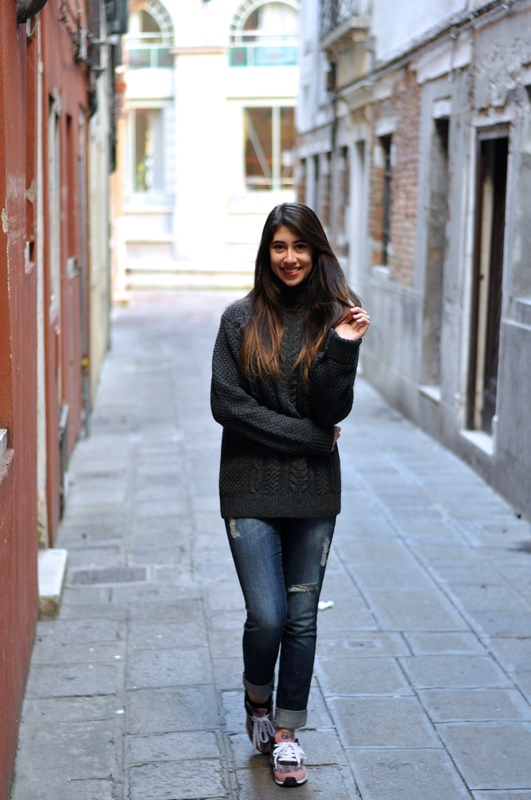 The perfect outfit when travelling: very cosy and comfy! I love your photos! 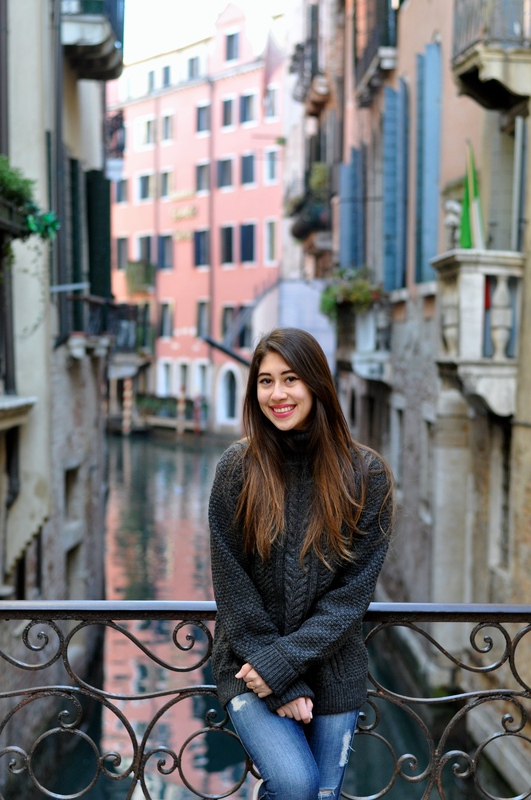 All your pictures look stunning and you captured the essence of Venice, Bibi!